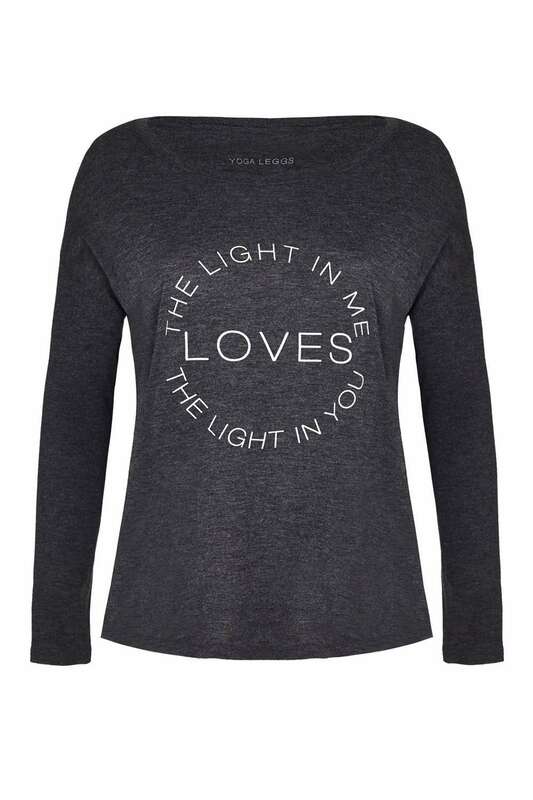 Yogaleggs limited edition Grey and White Light in Me slogan top. Functional, fashionable and a great match with our yogaleggs leggings or perfect teamed with jeans to spread a little love and light. Yogaleggs flowy long sleeve tops are super soft and offer an easy relaxed fit. Like our yogaleggs, these tops are perfect for your yoga, pilates, running, barre, spinning or gym class as well as relaxing at home.